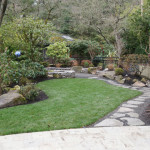 Creative Garden Spaces was contracted to re-design the overgrown garden space, re-work the path surfaces and add a bit of lawn and a fence for the client’s two pugs. 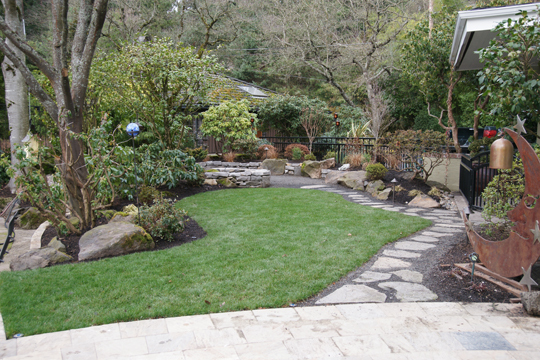 The result was a complete overhaul of the landscaped portion of the yard. Two large trees were removed, several rhododendrons were transplanted and the rest of the perennials were either transplanted or discarded. 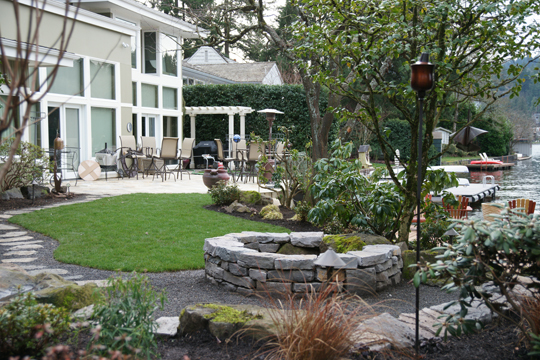 A significant lawn area was added along with retaining walls and a stone path leading to the crushed rock patio and fire pit area. 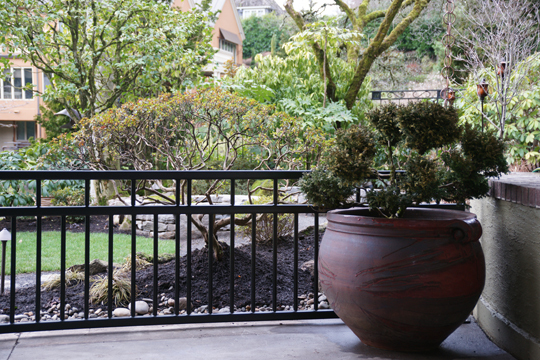 The fence blends in with the surrounding landscape and style of the home and provides needed security. 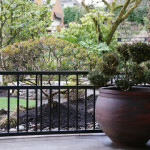 A wood pergola was added in the BBQ area and downspouts were replaced with rainchains. This entry was posted in Portfolio on January 3, 2014 by creativegarden. 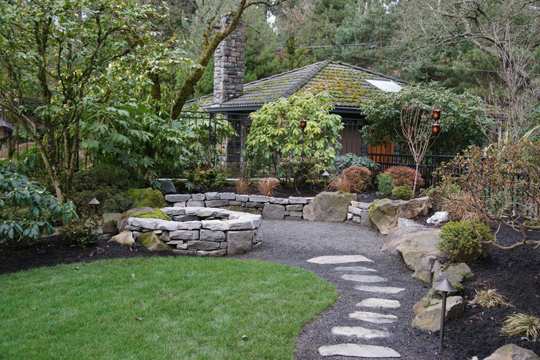 Thinning overgrown garden spaces takes a professionally trained eye. What to keep, what to toss... these decisions will make your new space work... or not. Sometimes it's the little touches that make all the difference. Contact us today! 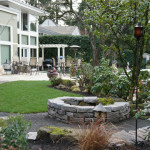 "Thank you, Debbie, for not only making our yard low maintenance, but beautiful! It has really been a pleasure doing business with you." 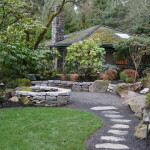 At Creative Garden Spaces, we are devoted to the art and craft of the garden space. We welcome your questions and look forward to working with you. Contact us today!